Easy to give. Easier to use. Treat Mum this Mother’s Day. 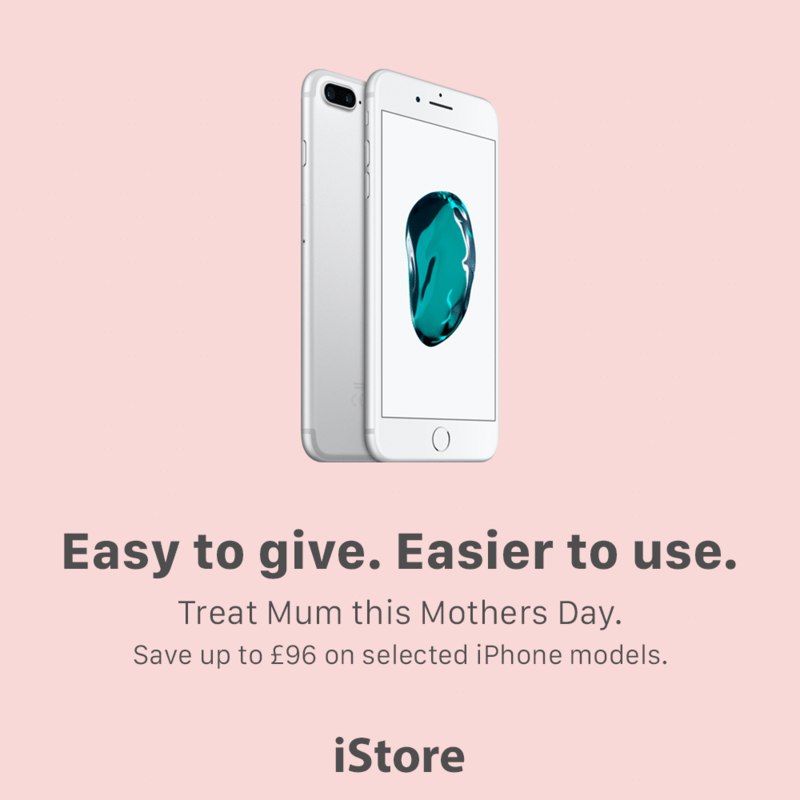 Save up to £96 on selected iPhone models and you’ll receive our two year guarantee at no extra cost.